I find that beginner writers have often not thought through the role of the antagonist in their novels. Sometimes they don’t even have an antagonist. This is a problem when you have to write 80 000 words and your protagonist does not have an adversary. 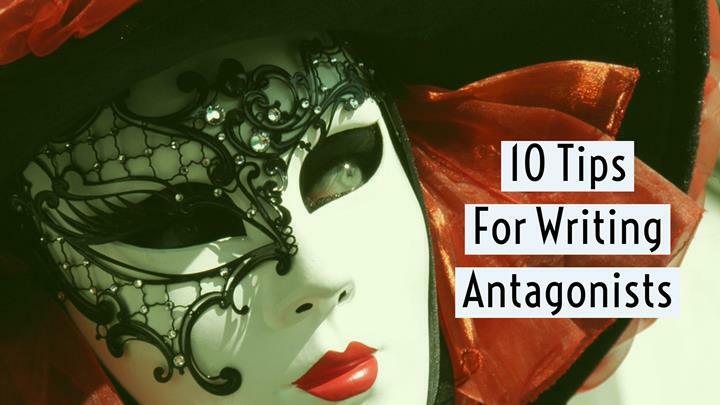 These 10 Tips for Writing Antagonists will help writers when they are creating this vital role in their novel. 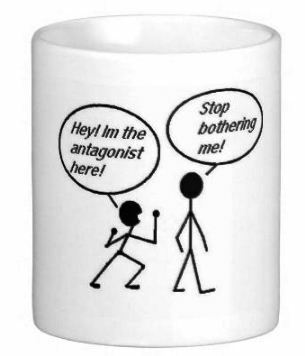 The antagonist is the character who MOST stands in the way of the protagonist achieving the story goal. He or she is known as the villain but need not be evil. The antagonist’s goal is in direct conflict with the goal of the protagonist. It is better if your villain is a person, not a force of nature (earthquake, flood), a group (gang, big company) or a general life condition (poverty, corruption). The antagonist should be equal in strength to your protagonist in order to fight a good fight. The best antagonist is someone who already plays a part in your protagonist’s life. Create a character whose motivation for opposing the protagonist’s story goal is as strong and logical as the hero’s reason for opposing the antagonist’s goal. The antagonist does not have to work from a negative motivation. If the roles were reversed the villain could become the protagonist. A great antagonist believes that his motivations are valid and his actions justified. Never create an antagonist who exists merely to obstruct the lead. You will end up with a shallow stereotypical character. In my story the protagonist *becomes* the antagonist. Through logical means (circumstances, events and difficult moral choices). And by slow degrees they end up putting in danger everything they ever stood for. This is so important. 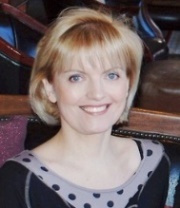 I recently blogged about it in my regular tips section. Antagonists can be such rich and fascinating characters, it’s so important to give them the time they deserve. You should have one main antagonist. He or she may have ‘henchmen’ who help prevent the protagonist from achieving his or her story goal. I’ve broken an even more important rule than that: I don’t have one central protagonist! It’s more like A Midsummer Night’s Dream. Thanks, Amanda. It’s refreshing to read a concise post that doesn’t ramble. “Never create an antagonist who exists merely to obstruct the lead.”–I’ve made a mental sticky note of this tip. Having an antagonist is fine most of the time but it is not a rule and not a necessity. I wrote a novel with no antagonist. It was on place one for a week on Amazon Germany and is still in the top ten. It has 100 5-Star-reviews. I wanted to show it can be done, and it worked. I disagree with number 3. Man vs. Man is not the only conflict out there, and there are many great books out there where it is Man vs. Self, Man vs. Nature, Man vs. Technology, and etc. Number 4 isn’t great advice. If you only make your antagonists a single human being, you’re severely limiting yourself. Why is it a bad thing to write about someone trying to survive an earthquake? What’s so wrong with a story about a person trying to pull themselves out of poverty? Neither of those ideas need a central, human antagonist to work beautifully. Excellent article. I love a good antagonist. One of my favorites in literature, is Iago in Othello. In his mind, he was justified in taking down Othello because he felt he’d been wronged. He had a clearly defined motive and methodically pursued this goal. It didn’t matter that he died, he had the satisfaction of knowing he’d been successful. I’ve always found that #6 can bring the strongest dramatic possibilities. Especially when the antagonist doesn’t necessarily start out that way. Can a character be an antagonist only because he/she is keeping the protagonist from achieving his goal? Even when he/she does not actually do anything to cause trouble for the main character? If the antagonist keeps the protagonist from a goal, he or she is surely causing trouble? If its not intentional, then? 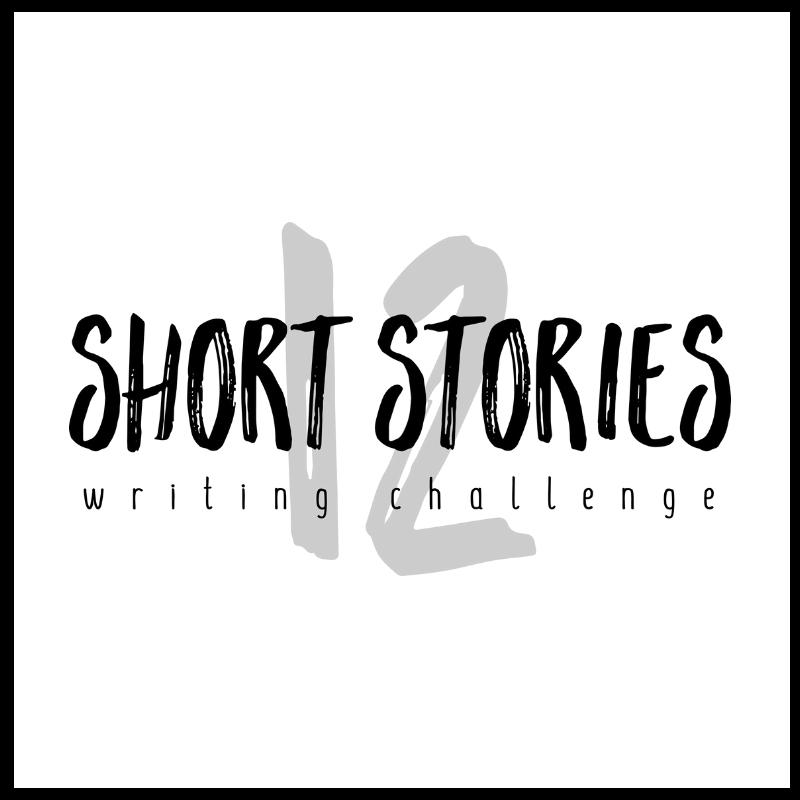 If your protagonist is so weak that he or she is challenged by somebody who does things unintentionally, you may have chosen the wrong protagonist for your story. Readers don’t like protagonists who are victims.